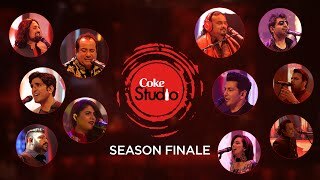 Coke Studio’s second episode went on air on August 19, 2016, and Afreen Afreen, sung by Rahat Fateh Ali Khan and Momina Mustehsan, stole the limelight – rightfully so. While some loved it and others hated it – for me, Afreen Afreen encompassed exactly what Coke Studio is all about. Coke Studio started nine years ago, and succeeded in bringing famous Pakistani singers together on a platform in order to recreate some of the most legendary songs of the past. When I say recreate, it should be made clear that recreation does not mean singing it again, as it is, rather it means creating something new, with the essence of the old. Rahat and Momina’s version of Afreen Afreen is the complete opposite of Nustrat Fateh Ali Khan’s (NFAK) version. While the latter is a passionate qawwali of an admirer completely blindfolded by the beauty of his lover, the Coke Studio version praises the lover with subtlety. The original Afreen Afreen showcases the lover talking to himself; whereas the Coke Studio version turned the song into a praise of beauty for its listeners. The different versions highlight two completely opposite, yet equally beautiful ways, of praising the love of their life. Momina’s pairing with Rahat Fateh Ali Khan was probably the best innovation seen in the music industry in a long time. Although Rahat Fateh Ali Khan seldom sings duets, when he does, his powerful voice overpowers the vocals of his female counterparts, for example, Shreya Ghosal. Shreya Ghosal is an extremely talented singer, but the duo were a mismatch in Teri Meri Prem Kahaani. On the other hand, Momina’s voice had the perfect amount of edge and innocence; her voice complimented his voice, as well as the song perfectly. The direction of the song is what makes it one of the most beautiful recreations so far. Originally, the song was heard through a male perspective, but Coke Studio’s version brings in the female perspective as well. The aforementioned line adds a beautiful and holistic feel to the narration of the song. Another plus point about this version is that the male and female vocals are not arranged in a conversational manner, as normally done in duets. Instead, they are arranged as parallel solo thoughts that enhance the emotion behind the song. Rahat Fateh Ali Khan gave his best, he submitted himself entirely to the song and that strongly resonates throughout. He tried to recreate a legend in the best possible way. Momina is a total charmer. She had the entire nation go gaga over her by simply sitting on a chair and singing two lines with a smile on her face. That’s what you call screen presence and talent. Her on-screen fan girl moments with Rahat Fateh Ali Khan contributed beautifully to the rendition of the song – it kept the legendary essence of the song alive. Lastly, Faakhir did a splendid job with the music arrangement. He recreated a fast-paced qawwali into a midnight stroll kind of song. Way to go Coke Studio! Keep surprising us. 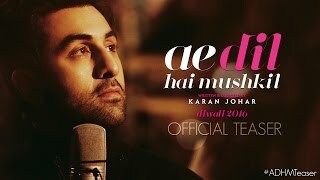 Ae Dil Hai Mushkil’s teaser is out and it was worth the wait! Its not about the song. Its about this new fair-colored girl who can sing. The song really has been about this new face called momina.